Customize all the Google Analytics utm tags in your email. First, enable Google Analytics tracking for links and then select the option to customize utm_content. In this article we will review how this tracking is helpful, how to enable this option in your account and how to customize all your utm tags. Google Analytics is all about reviewing what sources are generating traffic on your website and then how your site is performing (converting customers). By default, WordFly sends back specific data to Google Analytics for utm_source, utm_medium, utm_campaign. You can change what data WordFly sends to your GA account by customizing all the utm tags in your email. Customizing the utm tags allows you to control what data is sent back to your GA account for utm_source, utm_medium, utm_campaign and utm_term. Your organization is large with an extensive email program that covers the marketing department, membership department, institutional advancement, visitor services, the store, and separate educational departments. Providing 10+ departments with organized and structured data on their email marketing efforts can be cumbersome to say the least, but with customized GA utm tags each department can better analyze how their email marketing efforts are working. Campaign Name. Required. Used for keyword analysis. Use utm_campaign to identify a specific product promotion or strategic campaign. utm_source Campaign Source. Required. Use utm_source to identify a search engine, newsletter name, or other source. utm_medium Campaign Medium. Required. Use utm_medium to identify a medium such as email or cost-per- click. utm_term Campaign Term. Used for paid search. Use utm_term to note the keywords for this ad. You can customize link names through utm_content tags. This is covered in a separate article. There are a couple steps to customizing your utm_source, utm_medium, utm_campaign and utm_term tags in WordFly emails. First, enable this feature in Account > Account Options. 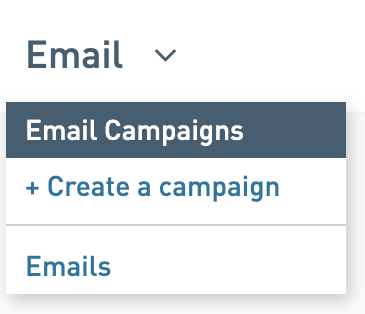 Second, go to your email campaign Settings tab to customize your GA tags under the Options section. 2. Under Settings, select Account Options. 3. Enable Google Analytics tracking as well as Enable custom tags for tracking. 1. Go to Email > Email Campaigns. 2. Select the name of your in progress email campaign. 3. You'll be directed to the Settings tab of the email campaign. 4. In the Options section, customize your utm_source, utm_medium, utm_campaign and utm_term tags. utm_source, utm_medium, and utm_content will pre-populate with the default data that WordFly uses for these tags. utm_content cannot be edited on the Settings tab since it is connected to the link name. This is customized separately.